There’s a very important part of yoga that’s often overlooked in the western world: karma yoga, or seva. Karma yoga or seva is selfless service without any thought of reward or repayment. In the online business world, many of us are used to “giving it away for free” to build our brands and businesses. 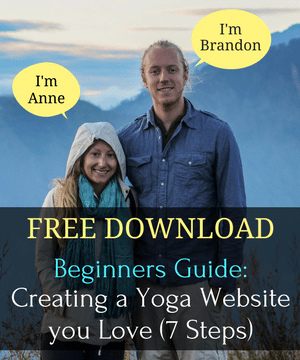 Think free email downloads, video classes, and eBooks. That’s great for business, and there’s nothing wrong with it– but I want to be clear that that’s not what seva is. Remember, it’s truly selfless service without any thought of reward or repayment. 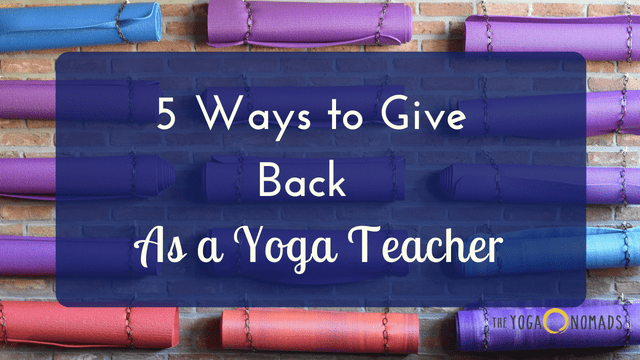 Below are some ideas for ways you can use your yoga skills, time, money, and platform to give back to your community. Some great places to get involved with teaching free yoga are prisons, detention centers, homeless shelters, and women’s shelters. 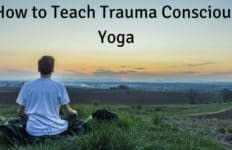 When teaching yoga to populations with a large amount of trauma, it’s important to create a safe space for them. 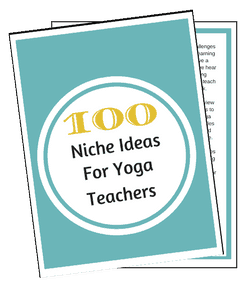 Click here to learn more about teaching trauma-conscious yoga. There may also be a center in your city, like Ahimsa House in Philadelphia, dedicated to offering free healing arts to the community. Reach out and see if you can offer a class! 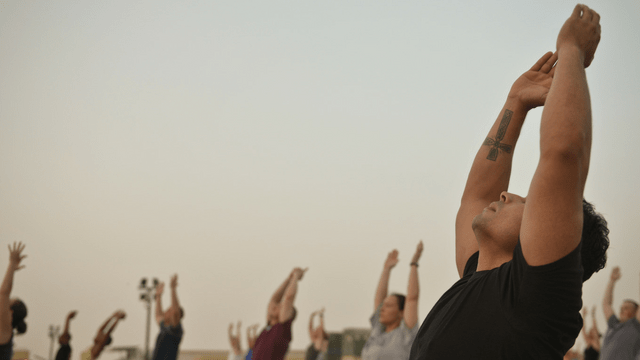 Look up the prison yoga program in your city and if there isn’t one, do a prison yoga training somewhere else and bring it back to where you live. Reach out to shelters to offer your services. 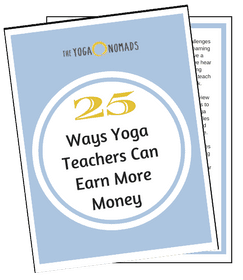 There are so many organizations serving marginalized people that could benefit from yoga if it were offered to them. Get creative, do some research, and get involved! These are just a few yoga-based non-profits doing incredible work in the world. Donate to one of them, or find another cause you care about and send them whatever you can. 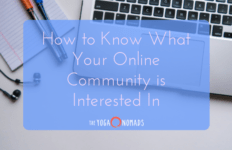 You can amplify your impact by encouraging your followers on your social media channels to practice seva, too. As individuals, we can do a lot. But as a community, our power is infinite. As much as social media can harm, it can also be used to do a lot of good in the world. Use your platform to amplify your impact and promote positive change. How many old yoga mats do you have laying around? Have you ever gotten a new, shiny mat and tossed your older, still perfectly good, mat to the side? Isn’t that so much better than your old mat collecting dust in your basement? 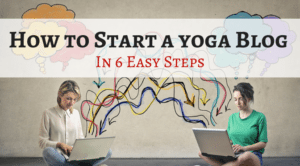 Donation-based yoga classes are all the rage, and I love it! 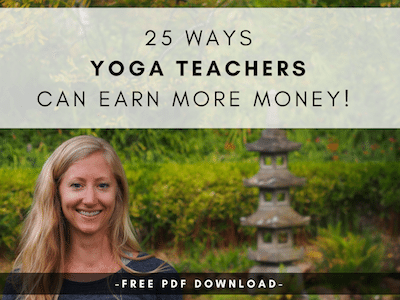 Email a non-profit you love and tell them you’d like to host a donation-based yoga class where the proceeds go to their organization. Then set up the class at a location in your city (it could be your local studio, or if the weather is nice try doing it outside at a park or pier!) and promote it to your newsletter and social media followers. 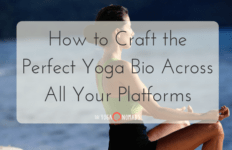 Remember, yoga isn’t isn’t just about what we do on the mat. 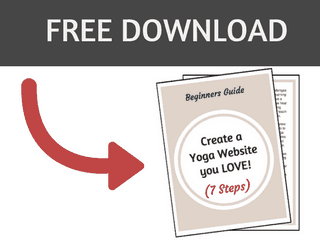 Seva is an important part of a yogi’s practice, and there are so many different ways to do it. 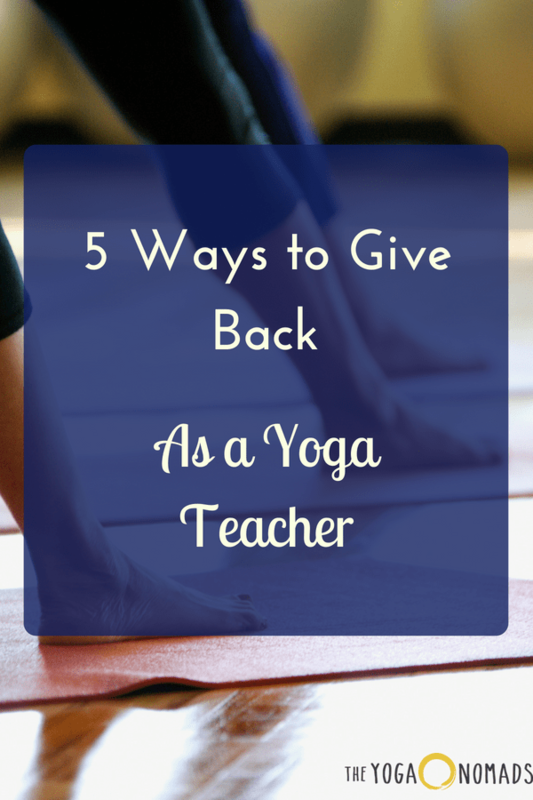 What other ways do you like to use your yoga skills and platform to give back? Comment below and share.